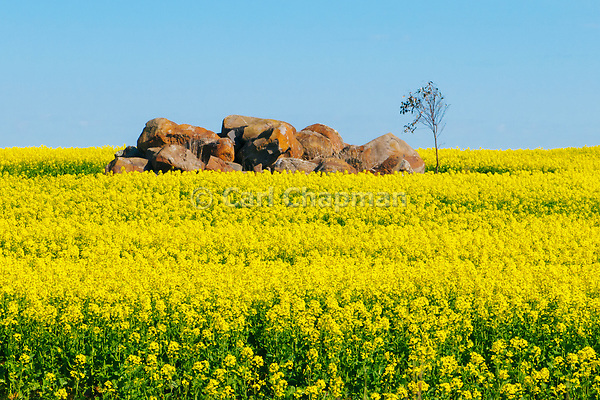 Down in the Victoria countryside I came across a field near Lismore with a pile of rocks in the middle of the field. This is quite a common sight in the area. Much of the ground is very rocky, and volcanic in nature. Instead of the farmers taking the rock away, they pile it up in the middle of the field and plant the crops around it. This field also had a number grain silos and farm buildings in the background. 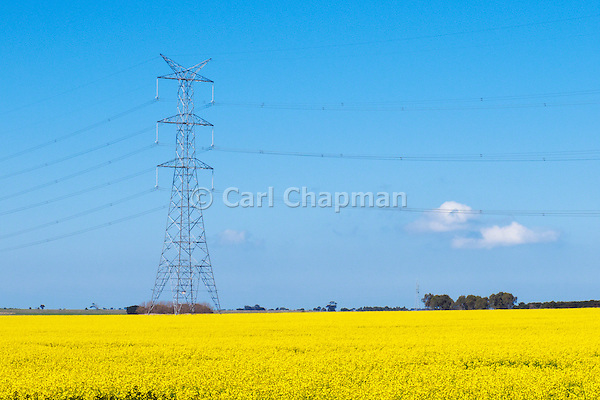 In yet another field nearby I came across some power transmission towers running through a field of canola. The tricky part to these pictures is getting the correct colour balance and exposure. 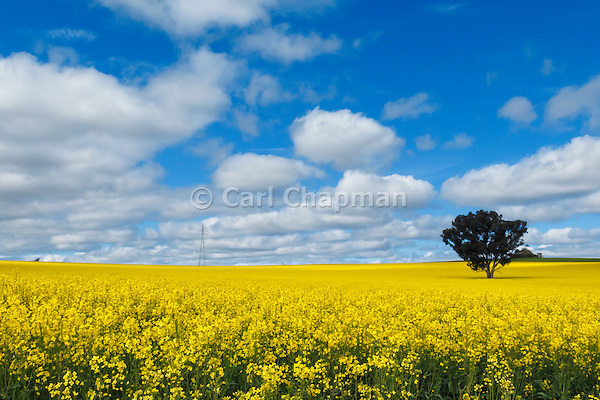 So much yellow and blue easily confuses the camera colour balance. The brightness of the sky can also cause the camera to expose for the sky and under expose the crop, so a graduated filter can really come in handy. 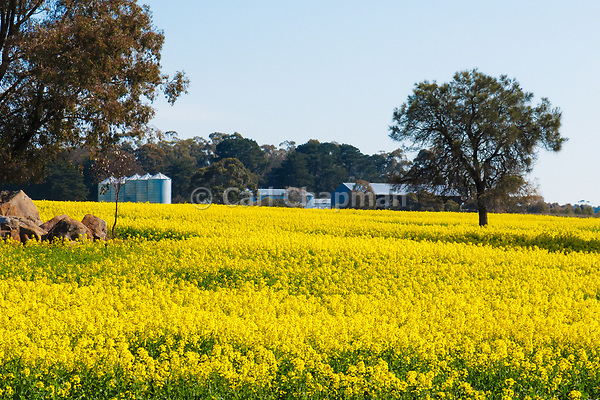 More of these images can be found in my Agricultural Images collection.